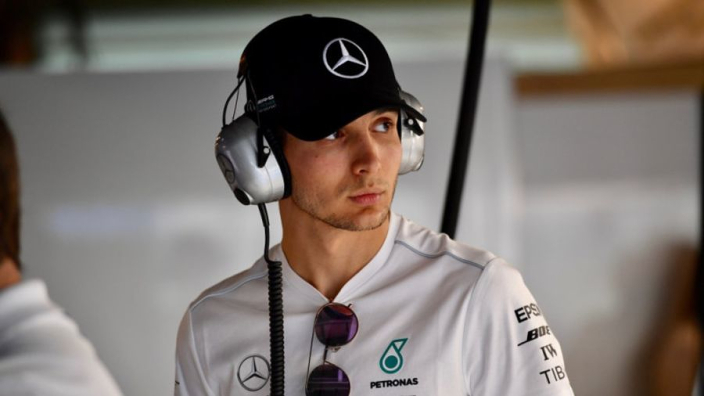 Esteban Ocon can count himself fortunate to be signed to Mercedes' junior driver programme, despite his ties to the Silver Arrows effectively costing him place at Racing Point and ruling him out of a 2019 race seat, according to Jacques Villeneuve. Ocon had been expected to switch from the team formerly known as Force India to Renault for 2019, but Daniel Ricciardo's shock switch from Red Bull threw the Frenchman's future into uncertainty. Talks with McLaren and Williams fell flat, while Red Bull refused to consider him for a seat at Toro Rosso unless he cancelled his contract with Mercedes. Instead, Ocon will serve as back-up to Lewis Hamilton and Valtteri Bottas in 2019 and says he will likely turn his back on F1 if he remains without a seat in 12 months' time. Villeneuve says that Ocon should look back with pride at his F1 career to date, despite an insistence on sticking with Mercedes leading him to his current predicament. "Esteban Ocon is in F1 thanks to Mercedes," Villeneuve told RMC. "At the same time, it was the fact of being with Mercedes that blocked him from going elsewhere. "He has already been fortunate enough to be in Formula 1 for a few years without having brought in the budget himself, which is amazing. "He should be proud of it rather than it being a negative."